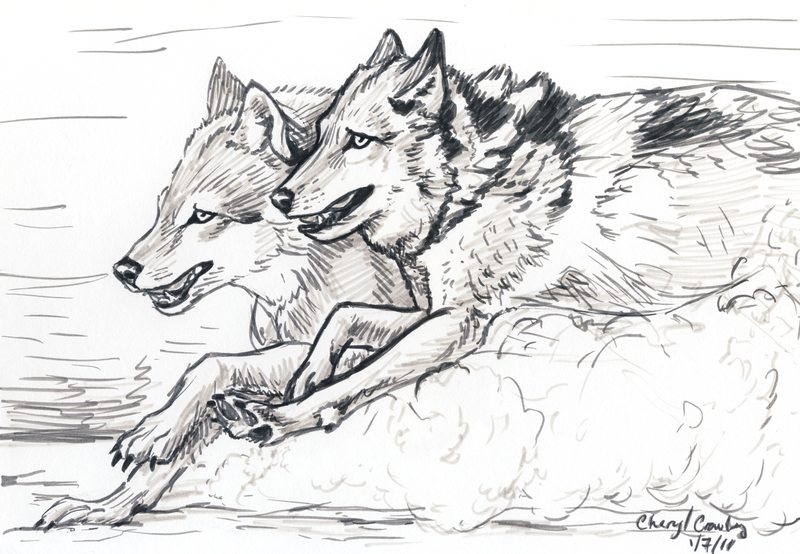 The top sketch is of two wolves running. I used various gray markers with different shades to create the sketch. 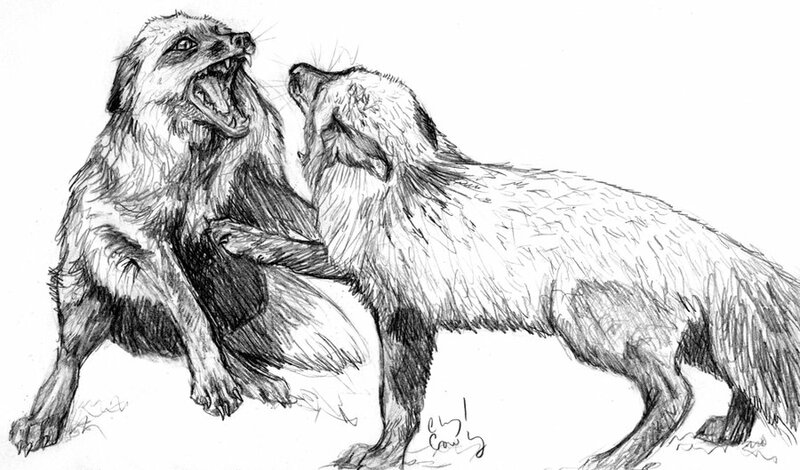 The next sketch is of two silver foxes fighting. It was created with graphite. It was also created about two years after the top sketch. I started in the beginning of 2011 creating a lot more sketches with action. I love trying to demonstrate motion in my artwork as it helps give it “life” as well as being a challenge. Wow these are amazing! Do you sketch from imagination of a real starting point? Thank you! Most of the time I use a photo reference to do my artwork. I do draw from my imagination or from life too. This is great drawings, you can even see the fear/anger in the eyes of the fox in the fighting pic. Love your work!!! Wow ! These are great ! You are very talented ! I very much appreicate the detail you ad that captures the emotional elements. Wow! The sophistication of your graphite drawing of the two silver foxes fighting is astounding! There is so much detail, such intensity, it is really, really good. In the two years between the drawing of the wolves running and the one of the silver foxes fighting, did you take a lot of classes? Thanks! No, I didn’t take classes, no art classes. No, just more practice. The wolf one was also done quicker than the fox one, so that is why it is more detailed. did you do this without any reference?